So late, so (finally) appropriate and right. Girls were wondering if actually Croatia would have been involved in the UEFA Women's Futsal Euro qualifiers, something they just found out on UEFA website and never announced by the local FA. No preparation, no coach, no friendly games on the horizon, no roster and staff composition. Nothing at all. Nothing until yesterday, when finally the Executive Committee gave some hope and pride back to women futsal in Croatia (and futsal in general). 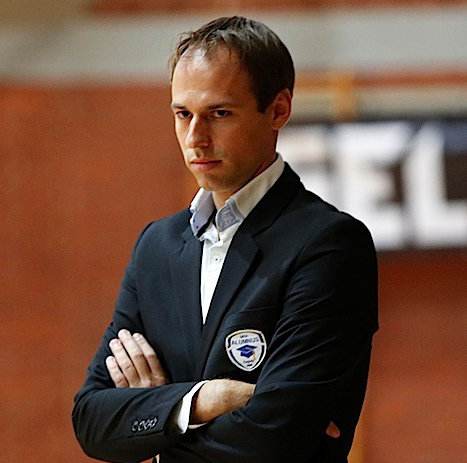 Today the official and definitve confirmation: MNK Alumnus Jakov Ungarov has been appointed as first ever head coach of the Croatian Women National Futsal Team. Definitely an important step forward, not only cause finally Croatian girls can start gearing up for the imminent Qualifiers Main Round (for all details CLICK HERE) to be hosted in Karlovac fighting against the experienced Russia, newcomer Slovenia and the winners of the preliminary round Group A (Northern Ireland hosting Netherlands, Belgium and Sweden) but above all cause this decision proved to be the most appropriate and right to be taken. A ray of light coming out of the darkness: a new start for Croatian futsal?